What you see is not always what you should believe. Fake news can hurt your child and impact their self-esteem. So use these age-appropriate tips to guide your children away from the fake news trap. 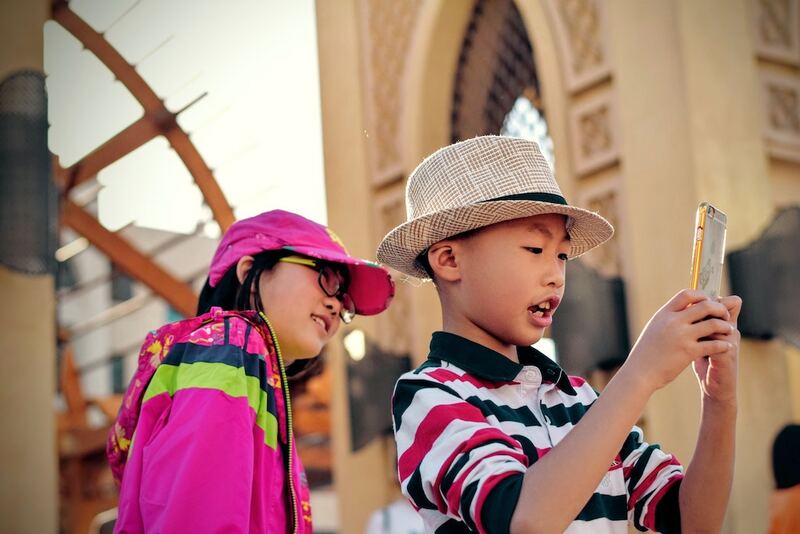 20 per cent of children between the ages of eight and 15 believe everything they read online is true, says Lia Testa Teismann, Head of Secondary Courses at the British Council in Singapore, citing a report. Is your child one of them? The term ‘fake news’ is now in our everyday vocabulary. Whether it’s false or sensationalised information, stories done purely as clickbait, or articles that deliberately disseminate information with dishonest intentions, it can be tricky to separate fact from fiction. While most adults are able to make this distinction – and even then we are still susceptible! — children, with less life experience, tend to believe everything they read. Why is Fake News Harmful for my Child? Theoretically, fake news can’t really hurt your child. After all, it’s just another story, isn’t it? However, fake news is not as harmless as it may seem. Indirectly, fake news can hurt your child and impact their self-esteem. 1. Children often do not have the confidence or experience to objectively evaluate what they have read. So if the information conflicts with what they think they know or understand about the world, they begin to question themselves. This can lead to a lack of self-confidence and also promote insecurity, Teismann explains. 2. If the fake news stories cause fear, debunking them becomes harder. Furthermore, the fear and insecurity stay with children even when they learn the news is not true, Teismann says. 3. 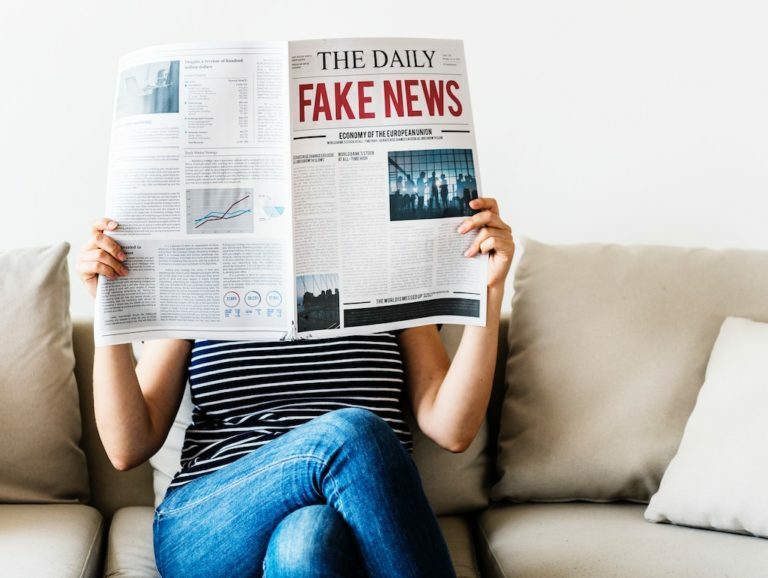 Exposure to fake news could influence the formation of children’s values, at a crucial phase when they are developing their own moral system, cautions Claire Nazar, Council Member, Families for Life, and Director at Kalco Law LLC. The spread of fake news poses a danger to children as it can manipulate how they see the world and convince them to adopt another person’s perspective, whether it is right or wrong, instead of forming their own, she elaborates. For example, reading about polarising news and those that incite violence could lead to a child thinking that this is the norm and that it is acceptable to follow or behave in a certain manner. Children must be equipped with the skills to differentiate between what is true and what is not, asserts Ms Teismann. In doing so, their thirst for knowledge must be encouraged (instead of distrusting all media and generally reading less current affairs). The best way to do this? By instilling a love of reading, but with critical thinking skills. 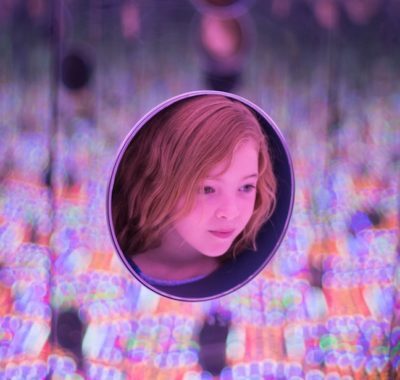 We live in a world where children aged five to 16 years old have an average of more than six hours of screen time a day; they are inundated by information. This information is often unverified or biased, attempting to influence their habits, or colour their views. Without critical thinking, children will be robots to the data that reaches them, Teismann says. So What exactly is Critical Thinking? Nazar defines this as “the ability to engage in reflective and independent thinking”. This requires a person to reason and be an active learner, rather than a passive recipient of information. Critical thinking is needed when dealing with fake news because it helps the reader, young or old, to understand how information comes about and to learn to spot bogus content, rather than simply believing and sharing it, she explains. Teaching kids such skills is, of course, dependent on their age. Nazar advises parents to start educating children about fake news when they are young, because of how easily accessible and available information is in today’s digital environment. For kids below 10, for example, parents also need to be alert to the type of content and information they are exposed to and be able to address inaccurate information that they come across. 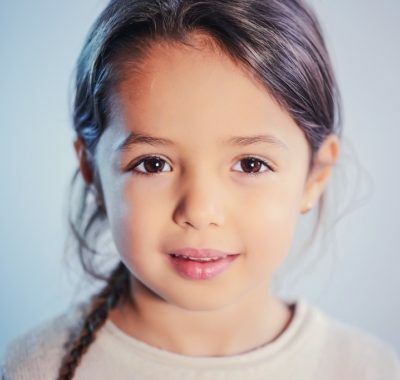 “Young children are extremely curious and will tend to ask a lot of questions, not just from their parents but from other adults and children around them. Hence, parents must teach them to not immediately believe what they hear and to always clarify information with their parents,” she says. Their exposure to the internet should also be limited and supervised closely by parents. Watch news shows with your children and ask them how much they have understood, then clarify any misunderstandings. Listen to their opinions on current affairs. Ask them why they think what they think. Justifying answers and opinions leads to more well-rounded ideas and better critical analysis later. When commercials or adverts come on, ask children how they are different from news stories. Be approachable and interested when children and pre-teens talk about the news. Or, initiate a conversation with them! Ask them if they have read/seen/heard anything they find interesting or confusing. Watch news shows with your children and discuss their opinions. Being able to explain their thoughts will help them develop their critical thinking skills. Model critical thinking when you read or watch the news. If something sounds strange or far-fetched, bring it to the attention of your teenage child and start a discussion. Ask if they agree. Ask them what they think. Show them you value their opinion. This will increase their confidence in themselves and in their ability to discriminate the real from the fake. • How do the facts in the article reconcile with their knowledge? • Are opinions colouring their judgement? • Are they looking at the facts or are emotions also getting involved? • Check the credibility of the source, the author, and the story. • Check the date. Is the story still relevant or is it just a trigger to lead us to a conclusion the author would like us to have? • Can you find a similar story in another reputable paper or TV/radio channel? The Families for Life (FFL) Council has an online articles covering a wide range of family-related topics. These include teaching children how to identify fake news and safeguarding their cyber wellness. It also started a new parenting outreach programme this year called Parents Learn And Play (P.L.A.Y.) to help parents of tweens and teens navigate their parenting journey. This includes cyber wellness as it is one of the top three topics that parents (58%) were most concerned about, based on feedback collected in February 2018 at FFL’s parenting programmes. To address these concerns, the FFL Council has introduced an online parenting tool kit to equip parents with essential skills and tips to help them cope with the issues affecting today’s youngsters. This includes teaching parents how they can regulate their child’s social media access and usage to ensure that they are safe online. Visit www.familiesforlife.sg for more information. The National Library’s S.U.R.E. (Source, Understand, Research, Evaluate) programme has information and infographics for children and adults to get educated on this topic. Visit www.nlb.gov.sg/sure/category/fake-news/ for more information.